Dr. Mighell specializes in Shoulder and Elbow Surgery. 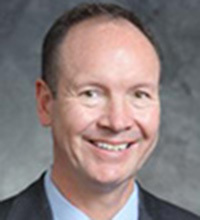 He is currently co-director of the Shoulder and Elbow Department and fellowship program and is an active member of the Orthopaedic Trauma Association and the American Shoulder & Elbow Surgeons. Dr. Mighell co-hosts the Current Solutions in Shoulder and Elbow Surgery training course and have over 25 publications in scholarly journals and texts.